There is a “how to” for pretty much everything on the internet. Need to tie a knot or download a Sega Saturn emulator or properly set up a juicer or break some bad news to a friend? There is a YouTube or WikiHow tutorial for it. 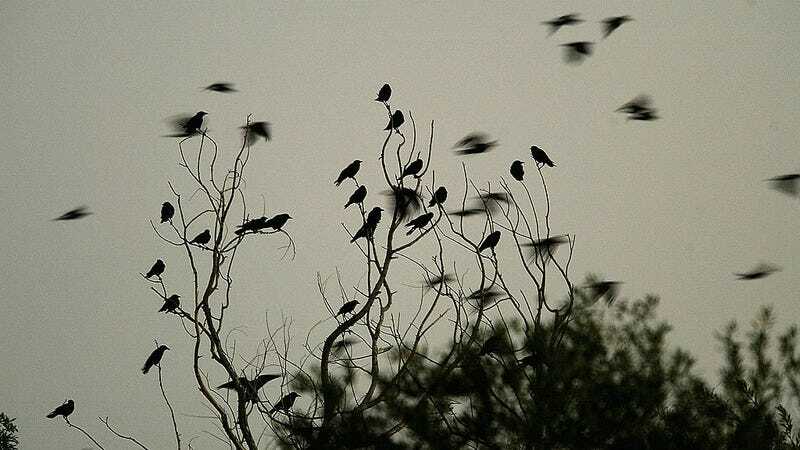 And yet even within this genre, few are as alluring, mysterious, and inexplicable as Owlcation’s new article, “How To Make Friends With Crows,” which provides pointers on not just how to befriend the swooping metaphors for death but also how to commune with them, to better understand their darkly beautiful animal souls. They are never going to come running like a dog will for a lick and a pet, and their standoffish attitude is probably a major reason why they have thrived as a species for so long. Remember, crows are wild animals. In the U.S., it is illegal to keep native songbirds (crows included) as pets. If you want a pet you should get one, but if you’re interested in crows, you’ll have to learn to appreciate their charms from afar. Besides, get real, most humans view crows as ominous, murderous evils (or at best, rats with wings). For centuries, they have played the bad guys in the stories humans tell themselves, and I’m sure those crows have noticed the eye-daggers most people shoot at them, how cars veer to the shoulder to intentionally run them over. Why wouldn’t that distrust be mutual? So crows will take their own sweet time deciding if they trust you or not, but once they know who you are, they’ll never forget. At first, they may give you the cold shoulder and ignore your offerings, but don’t take it personally. Remember that paranoia is all about survival but patience and vigilance will eventually pay off. If you pass the test, they will decide to trust. This mysterious relationship with crows can be yours, with only the right mix of time, dedication, maybe some vomit to feed them, also maybe fast food, an appropriate understanding of crow psychology, an inner peace with the darkness at the heart of all living things, probably a big hooded cloak, a faculty for conversational Latin, and the ability to weave a crown of moonlight without upsetting the imperious night-wolves who guard it.